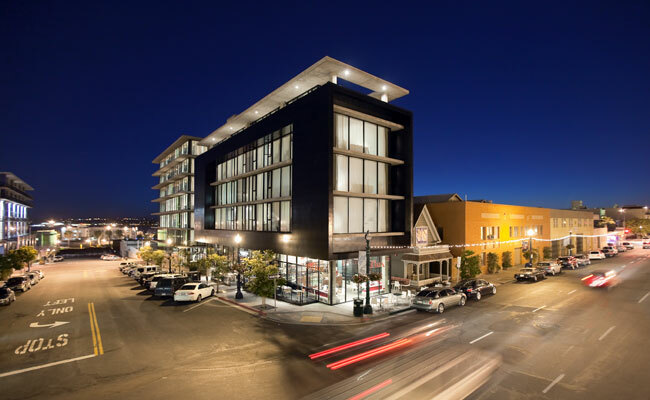 “The Q” is an apartment building in the Little Italy neighborhood of San Diego, California (Jonathan Segal FAIA & Development Company), so named after the gadget-inventing character, Q, of James Bond movie fame. A gross square footage of 90,000 houses 29 residential units, between 400 and 1,900 square feet a piece, along with underground parking. Green features of The Q include rooftop solar panels that power common areas, low-E glazing, and operable windows that allow for light and air to enter the building through “gill slits,” or angled fins, on the building’s north facade. To lighten the visual impact, the building volumes are transparent and clean-lined, and feature wrap-around glass that, from floor to ceiling, provides residents with dramatic views of the San Diego harbor and downtown skyline. 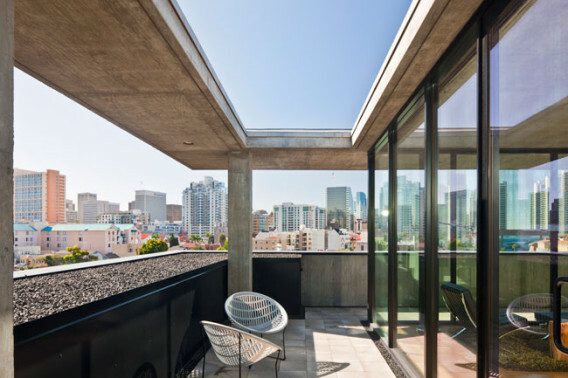 Jonathan Segal is known as one of the most successful and pioneering residential architectural and development companies in downtown San Diego, with a reputation for building superior housing at competitive prices. His firm focuses on urban projects that range between 80 and 160 units per acre of land. 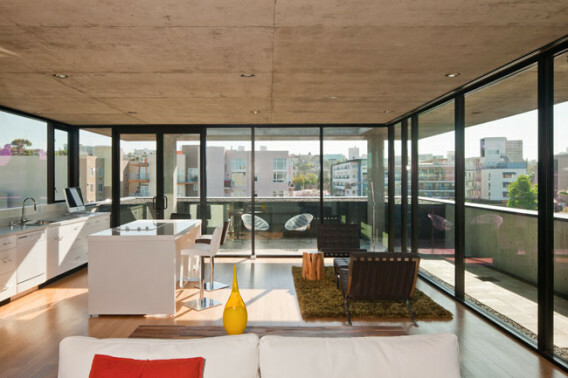 The firm has won twenty-four local, state, and national AIA awards for residential and urban design.